Happy Belated Halloween guys! (Better late than never right??? ) Hahaha. 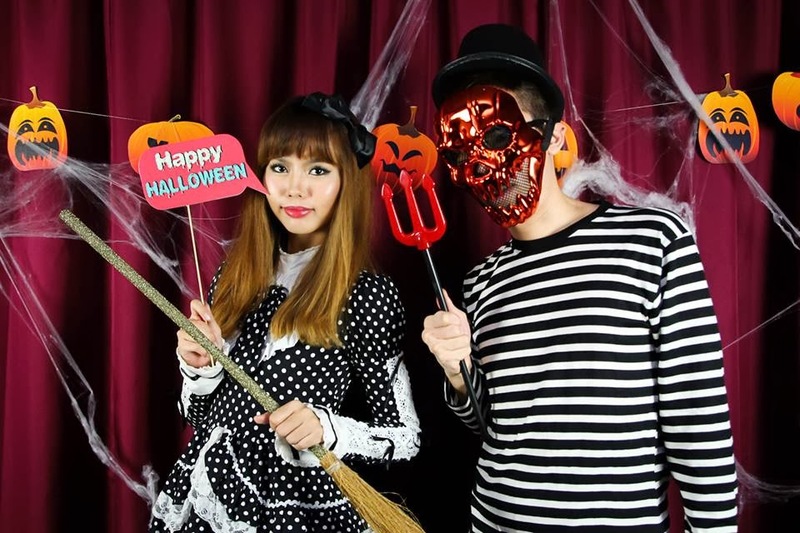 How's your Halloween celebration for this year? Was it an extra spooky one? As for me, thanks to The Butterfly Project, I get to kick-start this year's Halloween celebration super early, as early as 11th October! Hahaha super kiasu or what. 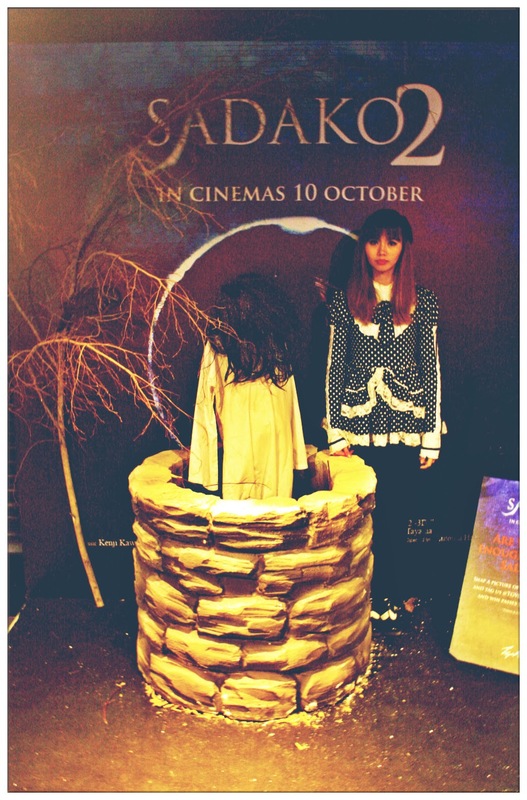 This year's TGV cinemas has organized a halloween celebration and invited guests and medias to join the fun, it was a premiere screening for the long-awaited Insidious 2 as well. When I get to know that I was one of the lucky winner picked by Butterfly Project for TGV Halls of Horror event, I can't stop thinking "what should I wear what should I wear!?????". Perfect for me as I missed Insidious chapter 1. 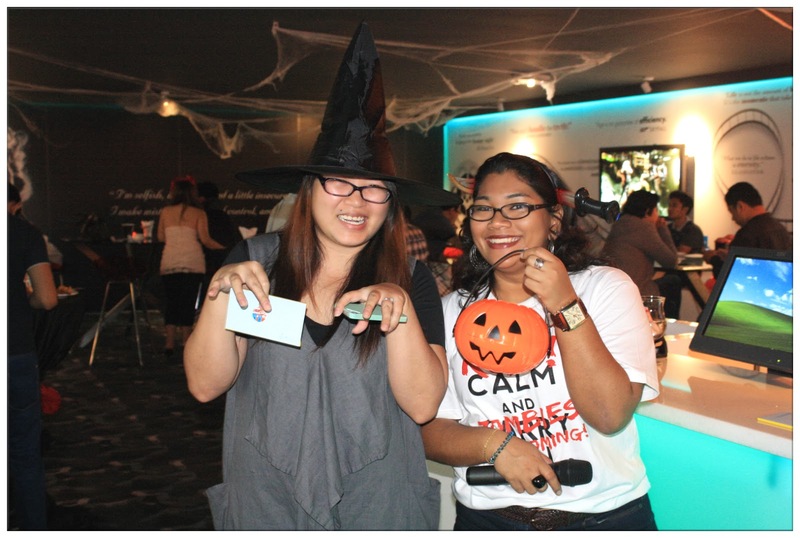 Guests of the event were lead to Chillax at the upper of TGV One Utama. 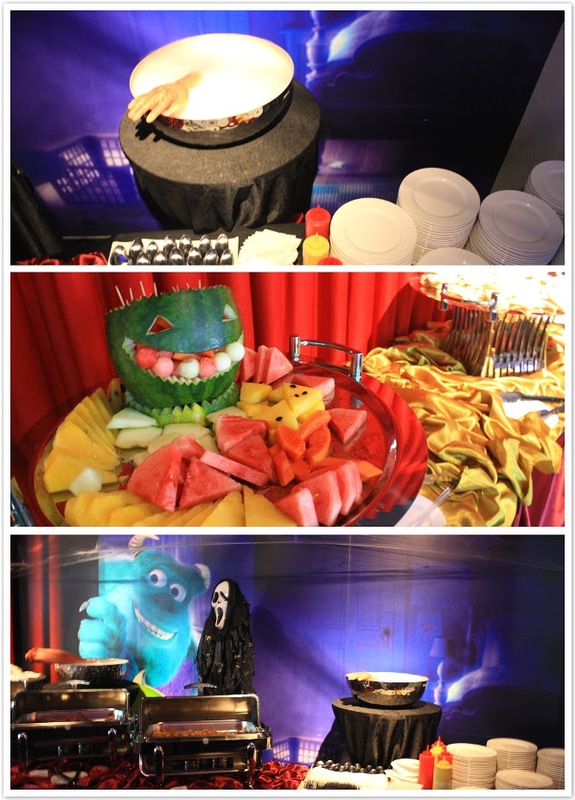 The Halloween-themed decorations of Chillax really set us into the Halloween mood. You know, finger foods and bites all arranged according to the theme, but still nonetheless delicious! There are tons of events going on before the movie starts. How can a dress-up event without a best dress award right? Congrats to Yuri Wong bagged the best dress award of the night. Besides that, there are few rounds of lucky draw where lucky winners get free movie passes of TGV! Guess who won? 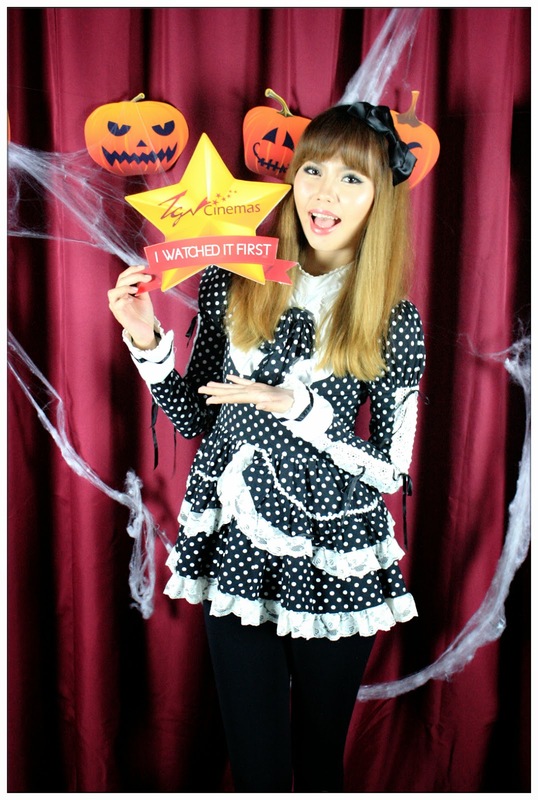 The cute witch - Tammy is one of the winner! After taking photos, when Kevin put back the mask to the props table, a guy came and took the mask away and say it was his, oops! Hahahahaha. 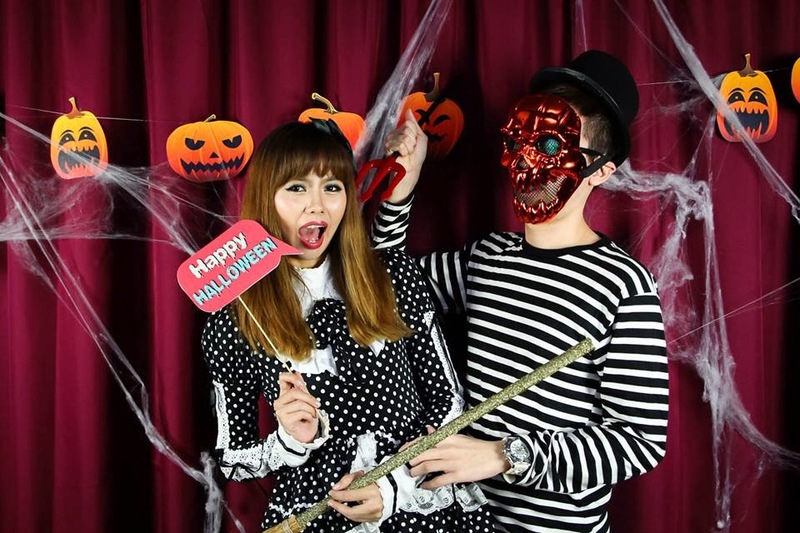 Then after we get the photos which were nicely placed in a card frame, Kevin said: I shouldn't put on the mask and take these photos, there's no point being in the photo without own face right? Hahahahahahaha. What a funny statement, I got a silly friend. 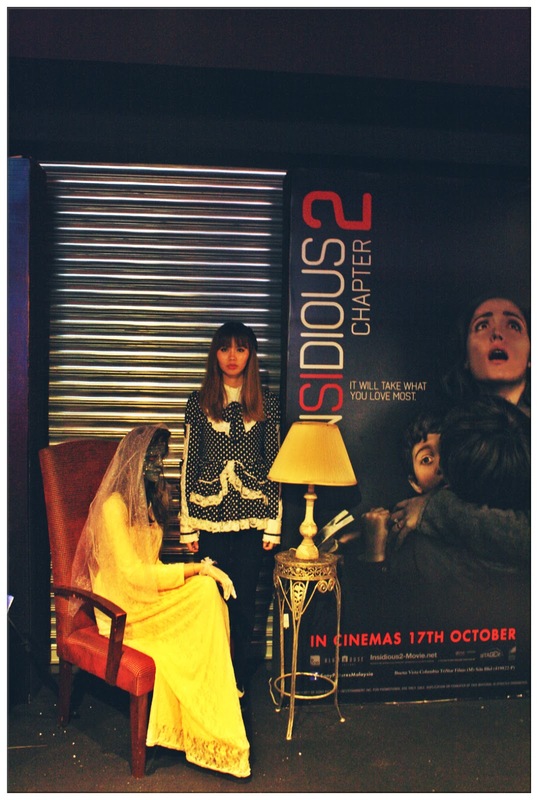 While we're watching the movie, there's a girl dressed up as the Dark Bride from the movie Insidious walk to the side of our seats and asked if she can sit beside us. Me and Kevin just chill and look at her without giving her any responds. Hahahaha. I guess she must be pretty upset for not be able to freak us out. The whole scene turn out pretty funny as the side of our seats are actually the staircase. The first thing that struck our mind was: If you wanna sit on the staircase then go ahead la! Hahahahahaha. That pretty much sums up the whole Halls of Horror event for the night. 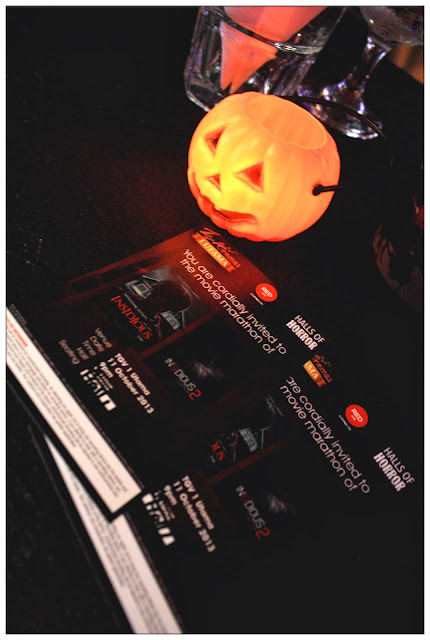 Thanks to TGV Cinemas and Butterfly Project for the invites. I get to watch Insidious 2 first in TGV Cinema! 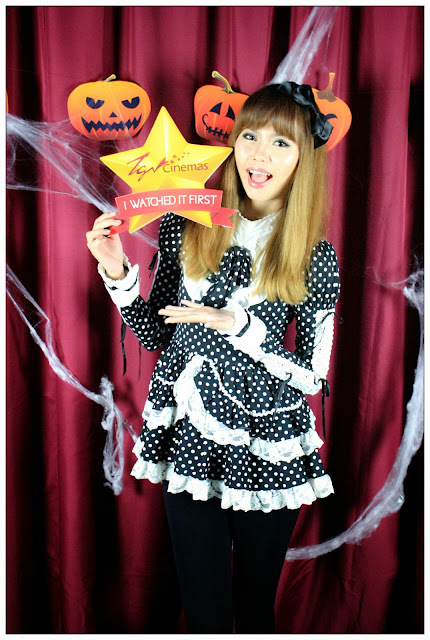 Last but not least, Happy Belated Halloween 2013 to all of you!